Born in Green River, Wyoming, on July 31, 1919, Curtis Edward Gowdy grew up in Cheyenne, Wyoming. At a young age, Gowdy developed a deep love of sports. He followed baseball, basketball, and college football in the daily newspapers. Though more than a thousand miles away, the Gowdys were able to hear Los Angeles radio station KFI, where young Curt was first introduced to the play-by-play descriptions of pioneer broadcasters like Graham McNamee and Ted Husing. Gowdy’s father, Edward, a dispatcher for the Union Pacific Railroad, encouraged Curt’s fascination with sports, taking him to University of Wyoming basketball games and occasionally sneaking away from work early to take him fly fishing. Gowdy’s mother, Ruth (née Smith), ensured that Curt’s love of sports did not consume all of his attention. She encouraged him to persevere in his studies. When Gowdy was 10, his mother enrolled him in elocution lessons, something he later said helped him in a career spent talking to the public. Graduating from high school in 1937, Gowdy worked as an electrician’s apprentice for the Union Pacific for a year before entering the University of Wyoming at Laramie. He quickly discovered that he loved the area for the opportunities it provided for him to fish. Besides spending his spare moments fishing, the young college student found time for basketball, making the varsity team in his sophomore year. By the time Gowdy graduated from college in June 1942, the United States was involved in World War II. Gowdy enlisted in the Army Air Force. It was around this time that he began to experience severe back pain that would continue throughout his life. His military career was cut short due to his back problem, however. He received a medical discharge in the spring of 1943. Diagnosed with spinal arthritis, Gowdy underwent surgery at the Mayo Clinic shortly after his military discharge. After spending several months recuperating from his surgery, he landed a job at the sports department of the Wyoming Eagle, covering local sports. The newspaper job led to his being hired by radio station KFBC in Cheyenne to provide color commentary for high-school football games. On a cold November day in 1943, Gowdy got his chance to do play-by-play for the first time, describing a game between two high-school six-man football squads. Setting up soapboxes to place his equipment on, Gowdy described the game from ground level at midfield. Gowdy went on to broadcast high-school basketball games later that year. In the summer of 1944, he began broadcasting re-creations of major-league baseball games. Nearly two years after beginning at KFBC, Gowdy was offered a job at a larger radio station. In August 1945, Kenyon Brown, manager of Oklahoma City radio station KOMA, had his car radio on as he drove through Cheyenne and heard Gowdy doing a baseball re-creation. Impressed with what he heard, Brown contacted the young sportscaster and, a short time later, hired him as sports director of KOMA. There, Gowdy provided play-by-play for University of Oklahoma football, Oklahoma A&M basketball and the Oklahoma City Texas League baseball games. In the fall of 1948, Gowdy received a phone call from broadcaster Red Barber in New York, asking him to provide play-by-play over the CBS Radio Network for a game between Oklahoma and Texas Christian University. When broadcaster Russ Hodges left the New York Yankees for the New York Giants after the 1948 season, the Yankees began a nationwide search for his replacement. Gowdy was told he was one of many broadcasters being considered for the position. To help his cause, Gowdy put together a tape of himself broadcasting the 1948 Texas League All-Star game and also had an expensive brochure made to promote himself. “By judicious use of pictures, newspaper clippings, banquet programs, and everything else,” the brochure was designed in a way that Gowdy said “made me look like the second coming of Red Barber.” While in New York with the Oklahoma A&M basketball team, Gowdy met with Yankees officials (including Mel Allen) in December 1948. Three weeks later, he was hired. 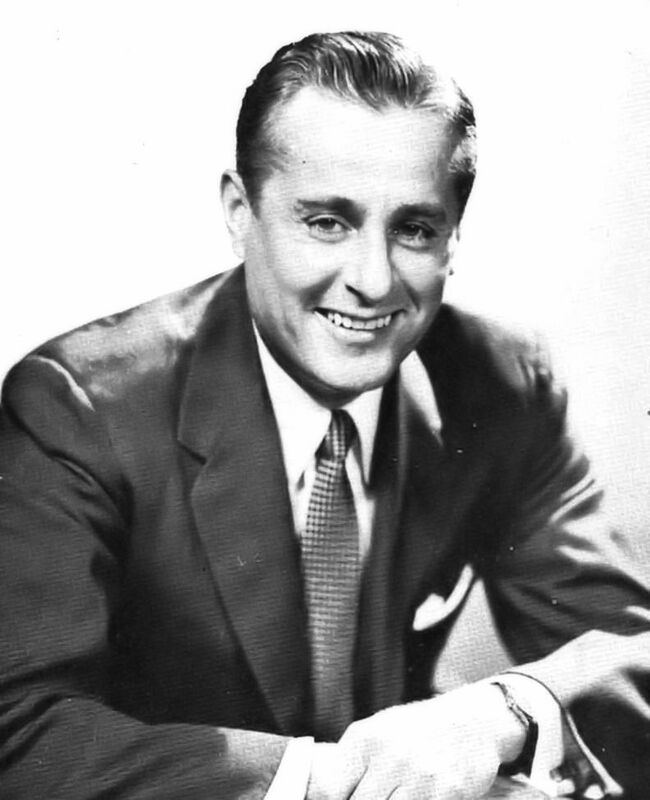 Beginning in 1949, Gowdy became a broadcaster for the New York Yankees. Covering the Yankees, the Wyoming native soon realized there was a great deal of difference between his prior experience and working in New York. His broadcast partner, Mel Allen, helped build Curt’s confidence and taught him the finer points of baseball strategy as well as how to be a better sportscaster. Gowdy appreciated the help, stating years later that Mel was his mentor. As the 1951 season approached, Gowdy learned that there would be an opening in the Boston Red Sox broadcast booth. Boston announcer Jim Britt had previously covered the home games of both the Red Sox and Braves. Beginning in 1951, each team planned to have its own broadcast crew providing coverage of all home and road games. Britt would be covering the Braves games. Gowdy, interested in being the No. 1 voice for the Red Sox, approached Red Sox general manager Joe Cronin about the job. When Cronin, who was familiar with Gowdy’s work, hired him, Red Sox owner Tom Yawkey welcomed Gowdy. As if being the top network broadcaster of television baseball wasn’t enough, Gowdy also provided play-by-play for other events, including network football telecasts, first over ABC and eventually on NBC. He teamed with Paul Christman from 1961 to 1968 to cover the games of the American Football League. Covering professional and college football through the 1970s, Gowdy broadcast seven Super Bowl games, 12 Rose Bowl games, and six Orange Bowl games. Gowdy considered covering Super Bowl III, won by the New York Jets, to be one of the greatest thrills of his career. The sportscaster was also the host of the television series The American Sportsman on ABC television from 1965 to 1984. Originally focusing on big-game hunting, the program focused more attention on conservation efforts in later seasons. Episodes of The American Sportsman featured Gowdy hunting or fishing with celebrities like Phil Harris, Bing Crosby, and President Jimmy Carter. The television series was one of Gowdy’s proudest achievements. In November 1975, after 10 years as the top network baseball voice, Gowdy was dropped from NBC’s baseball coverage. The network’s decision was partly due to the fact that NBC was cutting back on its baseball coverage, but was seen by some as a sign that Gowdy had been over-exposed by doing so much television work. Gowdy still continued to cover football, basketball, and other sporting events for the network, but his role on broadcasts became less substantial. By 1978, he had gone from being the play-by-play voice of the college basketball championship to appearing briefly as a pregame host. Passed over for play-by-play duties, he was given an assignment as a roving reporter during the 1978 World Series. It was an assignment he did not enjoy. Signing a contract with CBS in April 1979, Gowdy spent two years covering the network’s telecasts of professional football games. In 1981, he was dropped from CBS television sports. Gowdy, now 62, seemed ready to cut back on his travel schedule. Though dropped from television, he remained active on CBS radio. 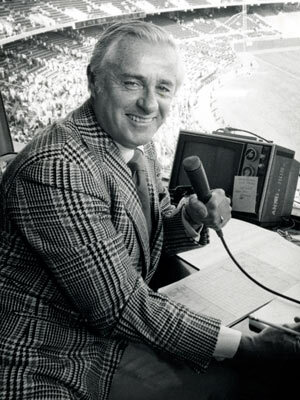 Teaming with Ernie Harwell on the radio network, Gowdy did play-by-play of the American League Championship Series in 1980, 1981, 1983, 1985, and 1986. He also provided play-by-play for the CBS Radio Game of the Week in 1985 and 1986. In 1987, he worked as the radio voice of the New England Patriots football team. Broadcasting football for the Patriots was a return to his roots. It was the first time he had covered a Boston-area team since leaving the Red Sox and the first time he had broadcast football on radio since the 1954 Cotton Bowl game.